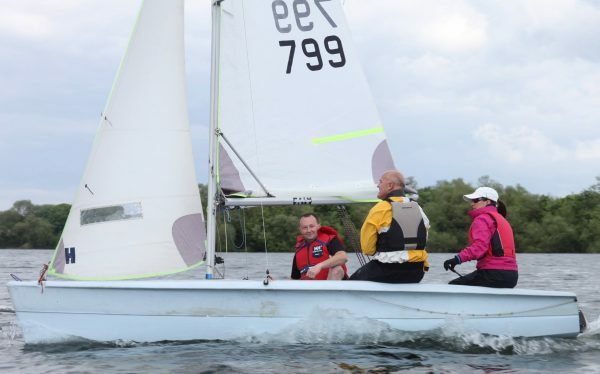 If you have ever wanted to try sailing, or you are wondering if you would like to join our club, then this is your chance to come and experience our hospitality and facilities, and to get out on the water for a first hand experience. If you decide you would like to join our club then there is a special offer on membership on the day saving the £50 joining fee. We have two taster sessions running on Wednesday evenings and two running on Sunday mornings. The evening sessions start at 18.30 and the Sunday sessions start at 11.30. After a short introduction, you will spend a total of about an hour on the water with one of our experienced sailors, who will show you which ropes to pull and even let you have a go at steering. The evening tasters finish around 20.00 with the bar open in the clubhouse. The Sunday tasters finish around 13.00, with refreshments available from our clubhouse galley. 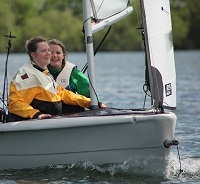 To book onto one of our dinghy sailing taster sessions click on one of the dates below and follow the instructions. Suitable warm clothing, waterproof trousers and top and trainers. Should you have a wetsuit and neoprene boots then that would also be an option though certainly not essential. If the weather on the day is warm then shorts will be fine. Buoyancy aids will be worn whilst on the water, so if you have one bring it with you, otherwise we will provide you with one on the day. Hot showers are available so bring a change of clothes and a towel.